I knew I would like Copenhagen, but I LOVED the city. 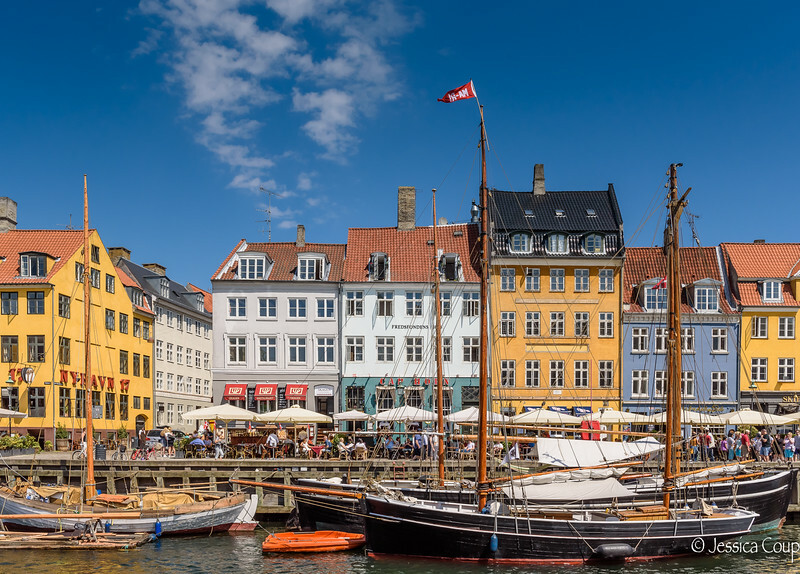 Copenhagen has fantastic museums, an amusement park in the heart of downtown, stunning architecture, fun counterculture, first class transit system, walkable and bike friendly streets, great food scene, outdoor friendly spaces and beautiful people. Most guide books mention you can see Copenhagen in one to two days. After six action packed days in June where the sun rises at 3:30 a.m. and sets at 11:30 p.m. we had lots of time to fill, and we only scratched the surface. Don’t rush and really soak in the various parts of the city along with the quaint small towns which are reachable 30 minutes by train. Thanks to our lovely friends Lori and Lars Hummel who hosted us at their house steps from Nyhavn, the famous canal where locals and tourists alike hang out at night picnicking along the harbour wall watching the sun drop below the beautifully restored 17th and early 18th century townhouses. The warm temperatures in early June brought the crowds out to enjoy boating, swimming, partying in the canals, playing in the parks, drinking Carlsberg beer and picnicking on park benches and on any piece of green grass.